Why Are People Posting 'St. Louis-Style' Food on Social Media? Have you seen a lot of posts about St. Louis-style food today? It’s not a very appetizing sight, to say the least. But it’s damn funny if you know how it all got started. Alek Krautmann, a program coordination officer at NOAA in Washington, D.C., tweeted on Monday about how he introduced his coworkers to the “St. 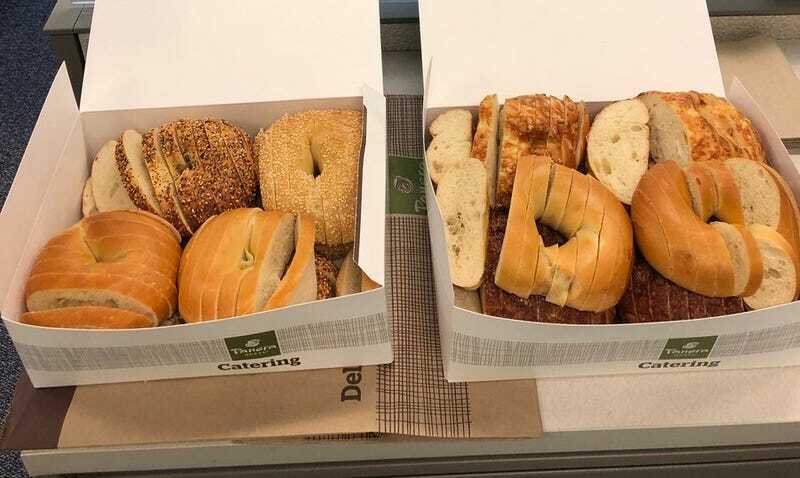 Louis secret” of ordering bagels that are sliced like bread. But the tweet really took off today. And while this bagel-cutting method may look ridiculous to an outsider, it inspired one of the best new memes I’ve seen in a very long time. Here, for example, is a St. Louis-style hot dog, just like Mom used to make. And here’s a classic St. Louis-style KitKat. As well as St. Louis-style cereal. And a St. Louis-style peanut butter and jelly sandwich. Not to mention the famous St. Louis-style cake. Of course, St. Louis-style strawberry milk is always a hit with the kids. This one tweet about St. Louis pizza sadly doesn’t look like it was intended to be a joke. But who knew St. Louis had such a rich culinary tradition? I mean, we all knew that St. Louis has great ribs. But this is really opening up new doors for me. There are plenty more of these St. Louis-style wonders on Twitter, but please share your own favorite St. Louis-style recipes with us in the comments. Especially if you’re actually from St. Louis.